Master tennis teacher to the stars and author of The Magic Key To Tennis - 1 Thru 10 System is available for speaking, teaching and perform engagements at your event. 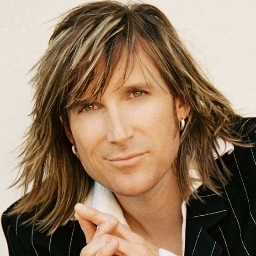 Eric is a gifted and motivational speaker with 20 years of teaching and coaching experience. His seminars are enlightening and witty as he keeps his audience engaged and inspired. He opened The Los Angeles Tennis Academy where he coached many celebrities including George Clooney, Alec Baldwin, and Robert Downey Jr., as well as famous rock stars, NFL owners, world ranked juniors and adults. He also taught physically and mentally disabled children and kids of all ages - all with amazing success However, he felt compelled to pursue a latent dream outside of the tennis world. Ultimately, he spent twelve years teaching tennis eight hours a day while studying music five hours deep into every night. 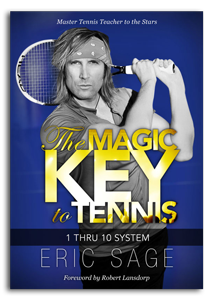 During this transformational time, he developed The Magic Key To Tennis - 1 Thru 10 System.